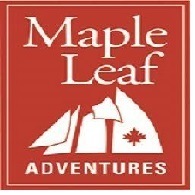 All Maple Leaf Adventures tours, river cruises, expedition cruises, and adventure trips. Find the best guided trips and expert planned vacation and holiday packages. Average rating of 0.0 for all Maple Leaf Adventures trips. Cruise 140+ islands on North America's western edge. Visit spectacular, remote Gwaii Haanas. Walk intact, ancient, temperate rainforest. View humpback whales, seabirds and other wildlife. See the Haida monumental art and culture, modern and traditional, including the UNESCO World Heritage Site. Take shore trips to wild beaches, rainforest, village sites..
Travel through sheer-sided glacial fjords to the foot of tidal glaciers where you will witness natural calving events as building size chunks of ice fall from the glaciers face into the ocean below. Cruise through Alaska’s Fredrick Sound, a hot spot for feeding humpback whales. Keep your eyes out for breaching calves, young humpback whales that are known to jump out of the water. Gain special access to a remote and protected salmon stream at Pack Creek, where brown bears gather to feed. Join your naturalist on foraging expeditions through estuaries, forests, and bogs. Uncover the sensationally sweet Alaskan blueberry. Visit Baranof Island’s Warm Springs Bay and dip into a relaxing natural hot spring.